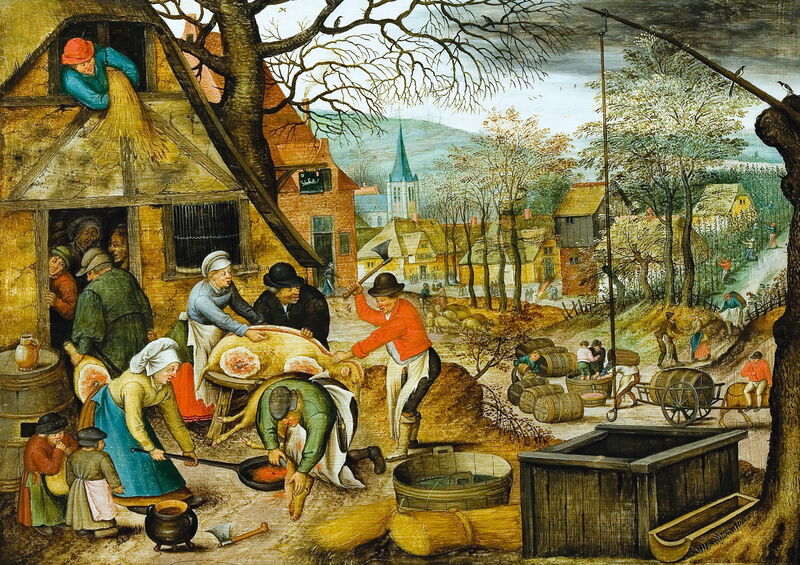 Pieter Brueghel the Younger (1564–1638), Spring (date not known), oil on panel, 43 x 59 cm, Muzeul Național de Artă al României, Bucharest, Romania. Wikimedia Commons. As secular painting became increasingly popular, and patrons were commissioning works which showed landscapes and scenes from everyday life, so painters turned to the four seasons for their motifs. This article and the next show a very small selection of some of the more interesting paintings showing all four seasons, either in a single image, or in a series. Their origin, in Europe, is in the calendar miniatures painted by the likes of the Limbourg Brothers in Books of Hours, such as the famous Très Riches Heures of the Duc de Berry, from about 1411-1416. In each case, I will show the seasons in chronological order, starting with Spring, and ending with winter. 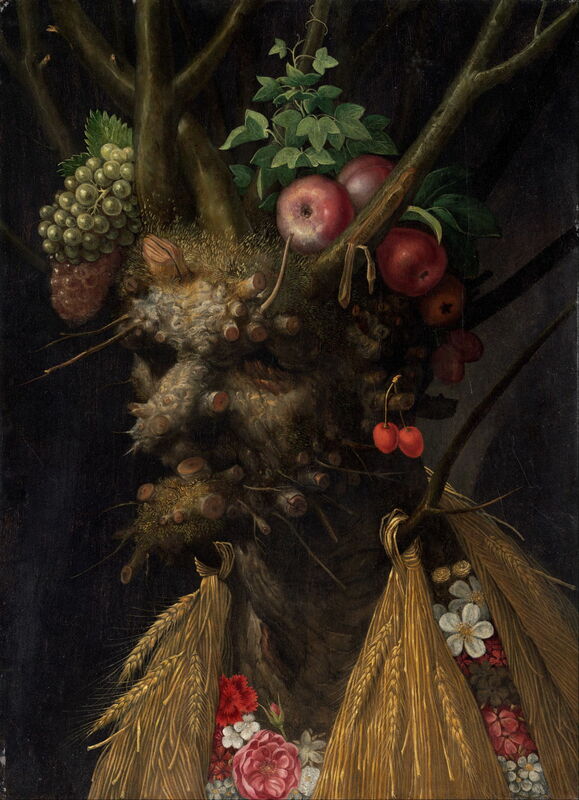 Giuseppe Arcimboldo (1527–1593), Four Seasons in One Head (c 1590), oil on panel, 44.7 cm x 60.4 cm, The National Gallery of Art, Washington, DC. Wikimedia Commons. One of the early exponents of painting the seasons was Giuseppe Arcimboldo, who painted several of his marvellous anthropomorphic portraits in sets of four. Less well-known, but more ambitious, is his Four Seasons in One Head from about 1590. He combines different passages to represent the seasons in turn. Spring is in the flowers on the body, summer in the sheaves of ripe corn, autumn in the fruits decorating the hair, and winter in the leafless face and branches. 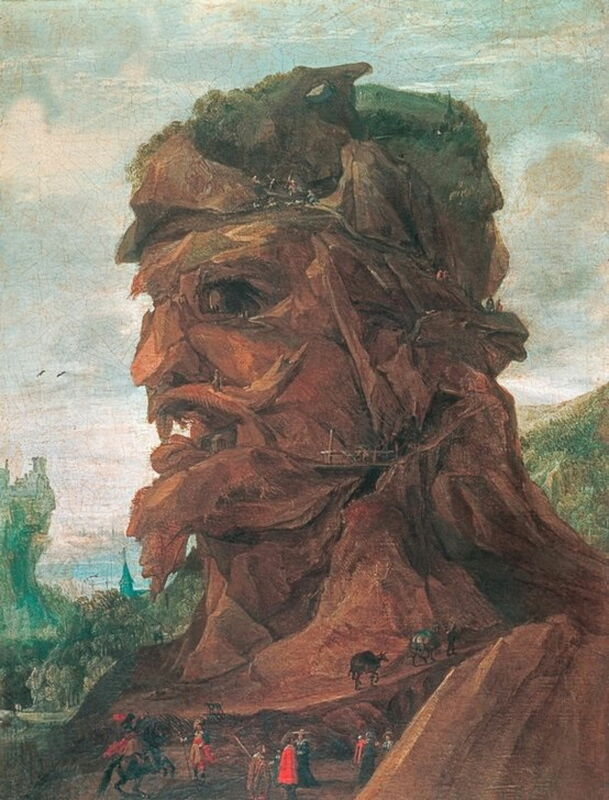 Although best known for these anthropomorphic paintings, Arcimboldo was by no means their only exponent. 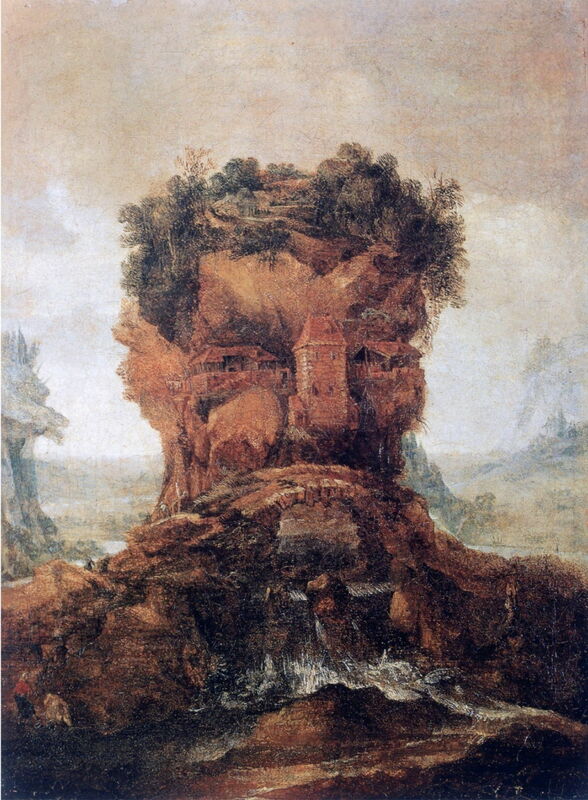 At about the same time, Joos de Momper painted anthropomorphic landscapes, in which figures appear from crafted landforms. These come together in an undated series of four allegories of the seasons. Joos de Momper (1564–1635), Allegory of Spring (date not known), oil on canvas, 55 x 39.6 cm, Private collection. Wikimedia Commons. Joos de Momper (1564–1635), Allegory of Summer (date not known), oil on canvas, 52.5 x 39.6 cm, Private collection. Wikimedia Commons. Joos de Momper (1564–1635), Allegory of Autumn (date not known), oil on canvas, 55 x 39.6 cm, Private collection. Wikimedia Commons. 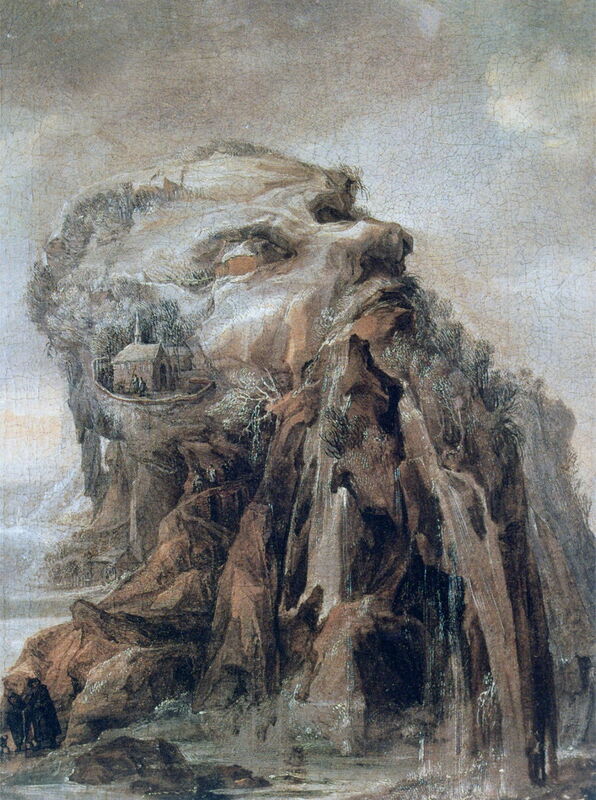 Joos de Momper (1564–1635), Allegory of Winter (date not known), oil on canvas, 52.5 x 39.6 cm, Private collection. Wikimedia Commons. 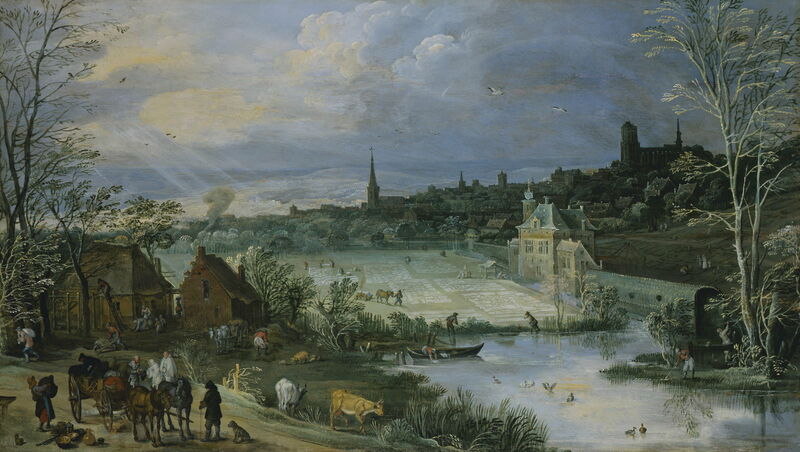 The most conventional platform for depicting the seasons was, inevitably, in landscape paintings. 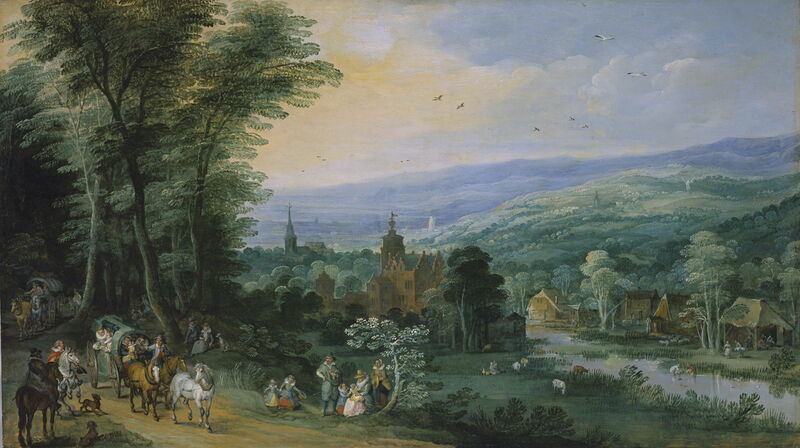 Here, Joos de Momper painted one of the finest landscape sets between about 1612-15. Each of these paintings is carefully composed with a checklist of different details: trees and their foliage, domestic animals, birds both species and activity, human dress and activity, weather, sky, and so on. This provides much common ground with traditional East Asian paintings of the seasons, an example of which I show in the sequel to this article. Joos de Momper (1564–1635), Spring (c 1612-15), oil on panel, 55.5 X 97 cm, Herzog Anton Ulrich-Museum, Braunschweig, Germany. Wikimedia Commons. Joos de Momper (1564–1635), Summer (c 1612-15), oil on panel, 55 X 96.7 cm, Herzog Anton Ulrich-Museum, Braunschweig, Germany. Wikimedia Commons. Joos de Momper (1564–1635), Autumn (c 1612-15), oil on panel, 54.8 X 96.7 cm, Herzog Anton Ulrich-Museum, Braunschweig, Germany. Wikimedia Commons. 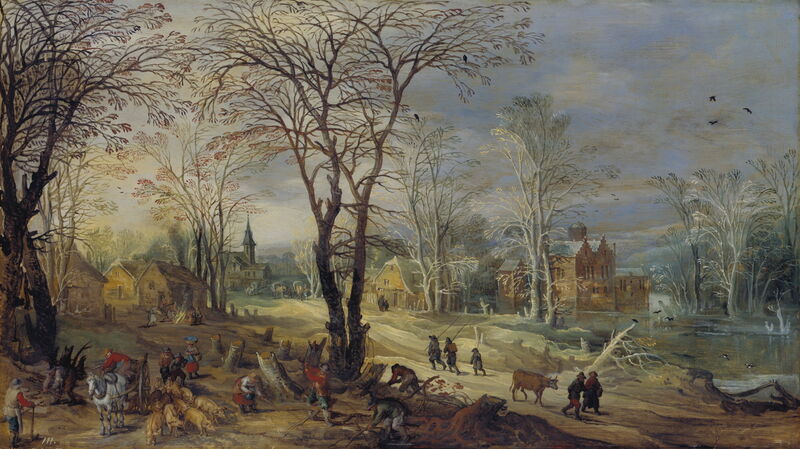 Joos de Momper (1564–1635), Winter (c 1612-15), oil on panel, 55 X 96.7 cm, Herzog Anton Ulrich-Museum, Braunschweig, Germany. Wikimedia Commons. The Bruegels had also been working on their series showing the seasons for many years. Pieter Bruegel the Elder (c 1525-1569) had been commissioned to produce designs for prints in the mid 1560s, but after his early death the incomplete project was taken over by Hans Bol (1534-1593) and completed as prints in 1570. 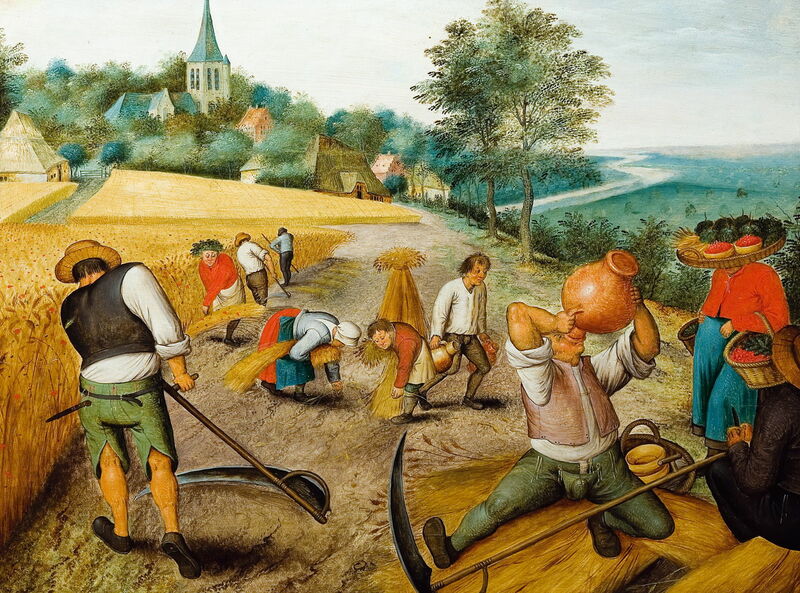 Pieter Brueghel the Younger (1564–1638) used these as the basis for one of his standard series of paintings, and two complete sets are known to survive. The images below are of those in the National Museum of Art of Romania, in Bucharest. 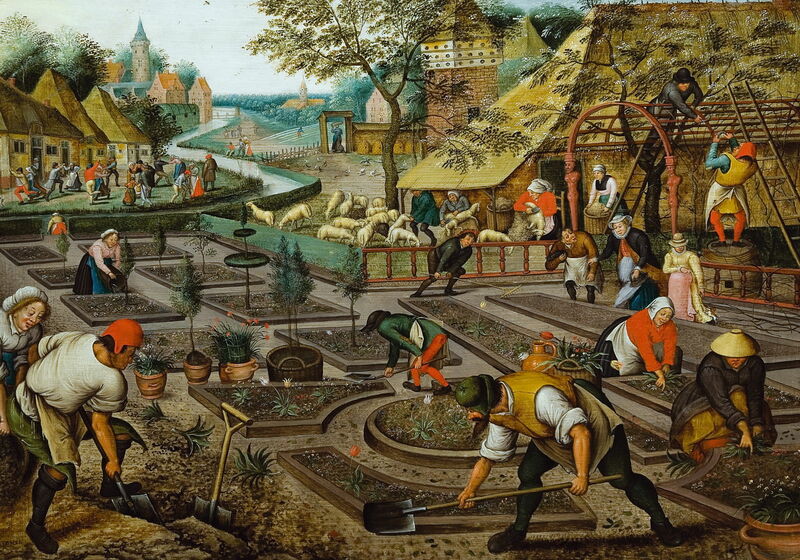 In Spring, gardeners are planting out a formal Italianate flower-garden, a sight which was probably inspired during Pieter Bruegel the Elder’s visit to Italy. It has been suggested that this composition is even more ingenious, in showing March in the foreground, April behind, and May at the furthest end of the garden. Pieter Brueghel the Younger (1564–1638), Summer (date not known), oil on panel, 42.5 x 57.5 cm, Muzeul Național de Artă al României, Bucharest, Romania. Wikimedia Commons. Summer shows the conventional country sight of the wheat harvest, which has been fully developed in other paintings by the Brueghels, and is one of the most familiar with its golden stooks and bustling activity. Pieter Brueghel the Younger (1564–1638), Autumn (date not known), oil on panel, 42.8 x 59 cm, Muzeul Național de Artă al României, Bucharest, Romania. Wikimedia Commons. The composition used for Autumn is taken from Bol’s print, although here the number of figures has been reduced to simplify and clarify. The villagers are busy slaughtering and preparing a pig, as stooks of corn are laid up in lofts. 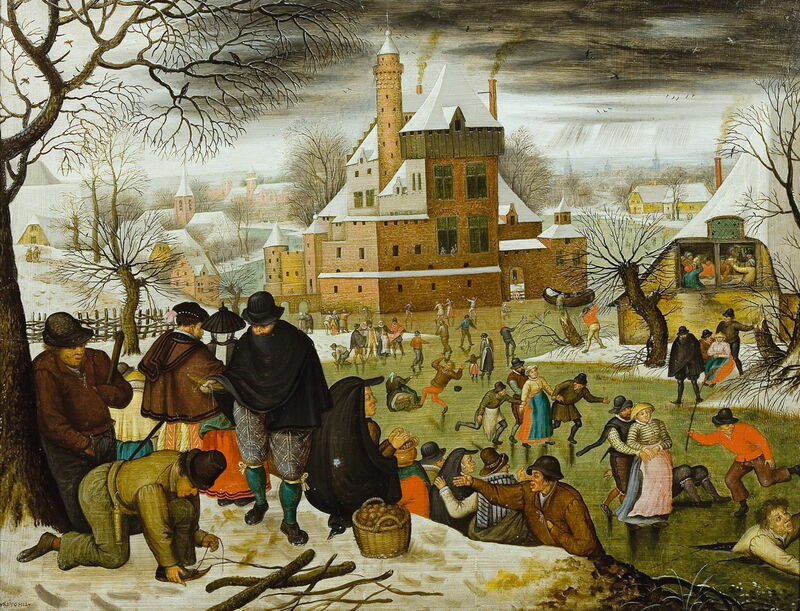 Pieter Brueghel the Younger (1564–1638), Winter (date not known), oil on panel, 42.8 x 57.4 cm, Muzeul Național de Artă al României, Bucharest, Romania. Wikimedia Commons. 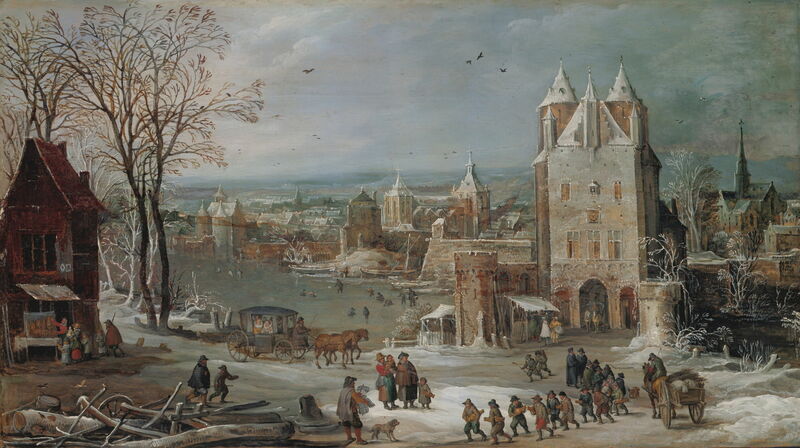 Winter draws on several earlier paintings showing skating on ice, and is influenced by those and Bol’s composition used in his 1570 series of prints. Then, towards the end of his life, Nicolas Poussin painted a series of narrative landscapes drawing on Biblical stories which are one of the greatest treasures of the Louvre in Paris. 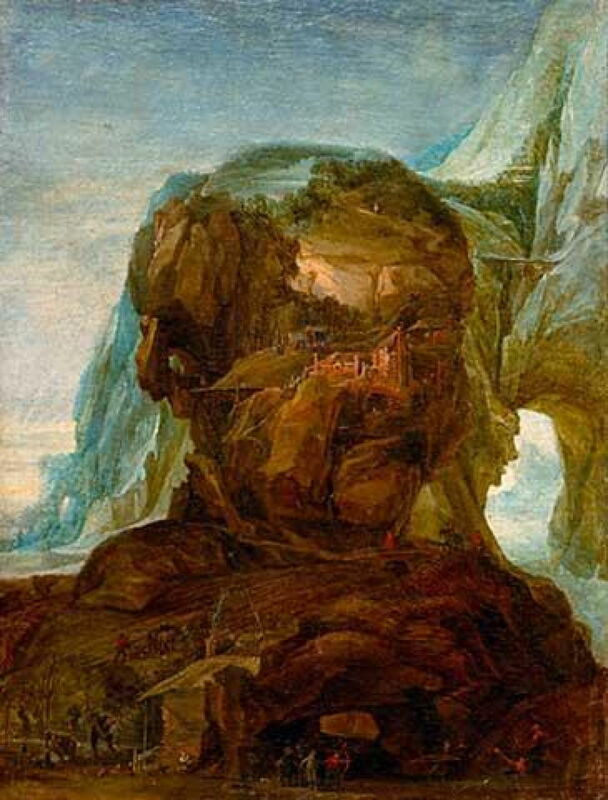 Posted in General, Life, Painting and tagged Arcimboldo, Brueghel, de Momper, landscape, painting, season. Bookmark the permalink.